Created for medium sized pets, CBDfx offers animals a CBD supplement in a bottle with an easy to use dropper. 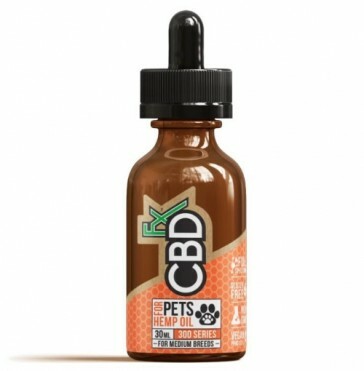 Complete with full instructions on how to administer to your pets, the CBD oil can be applied directly on the tongue of mixed in with their food. Each of these medium strength bottles contains 300mg of full spectrum, nutrient rich, organic CBD. Dogs and cats will experience a palatable earthy taste. 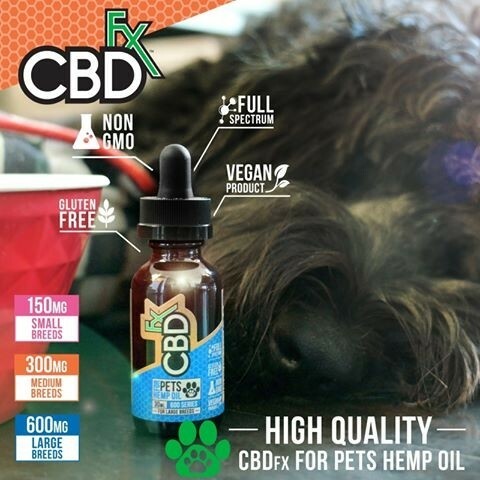 We also stock pet CBD from CBDfx oil for larger and smaller animals, so ensure you get the right one for your sized pet. A drop of this oil contains about 1mg of active CBD. Get in touch with any questions you may have.